Small game - Big Game Hunting Estate in Spain. "Los Claros"
In an exceptional manner, and only for our big game clients, we offer small hunt outings as well as partridge decoy hunting, as a pleasant complementto the main hunting activities. In “Los Claros”, small hunt has been exclusively left for the region’s natural predators such as the Iberian lynx and the imperial eagle. Only in special occasions and in specific areas, some clients can enjoy small game hunting as a way of complementing their big game hunt. The methods practiced are still hunting, upland hunting and partridge decoy hunting. Rather than a hunting method, we could call it an art form which has been transmitted through families for many generations. There is recorded proof showing this hunting method has been practiced since the VI century BC. Like the name suggests, it is a method exclusively used with partridge. 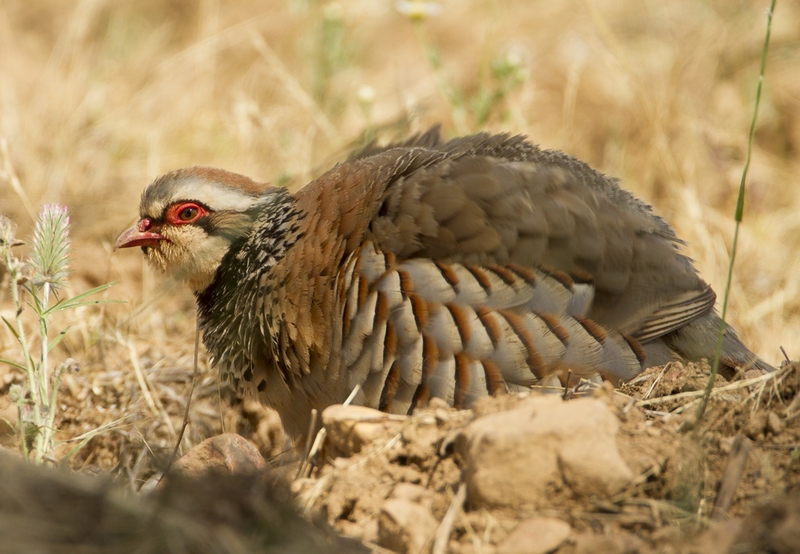 This practice consists in attracting wild partridge to a close distance by using a singing caged male, managing to attract wild males to a 20-10 m distance from the hunter. Whit the pass of time, the weapons used for this modality have varied, nowadays a hunting gun is the most common choice, although bow hunting is just as good for a successful outing. The biggest challenge faced in this modality is to breed the decoy partridges in the best conditions, which requires lots of dedication and knowledge. Usually, this hunting method is only practiced by the few people who spend the year spoiling their birds. In “Los Claros” we can offer you this modality during the able season and for up to 6 hunters per day. The place hunt consists in hunting any kind of bird by silently waiting for them to come close or fly over. The hiding place must be good enough to allow the hunter to be aware of his surroundings so he can take a shot at any given time without being spotted by the potential pray. It is practiced either in a group or individually and the use of a partridge decoy is optional. Traditionally, this method has been used to hunt ducks, pigeons, turtledoves, and sung thrush. 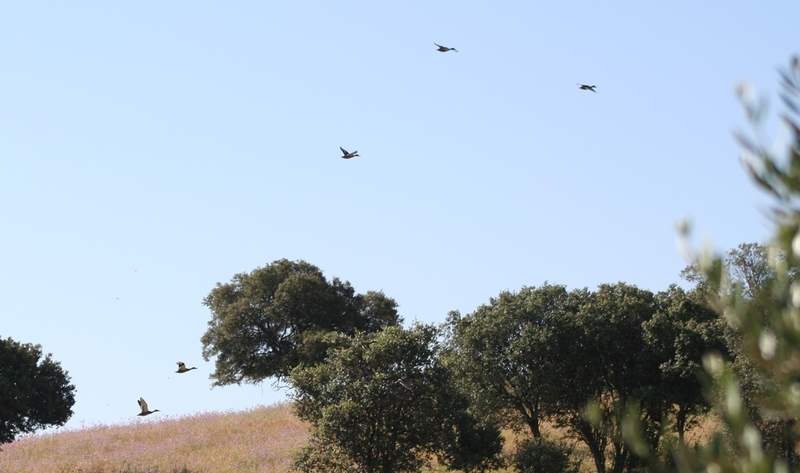 In “Los Claros”, we can hunt turtledove and ringdove during the summer semi-closed season (only some species can be hunted) and 10 days after with a maximum of 12 hunters per day.